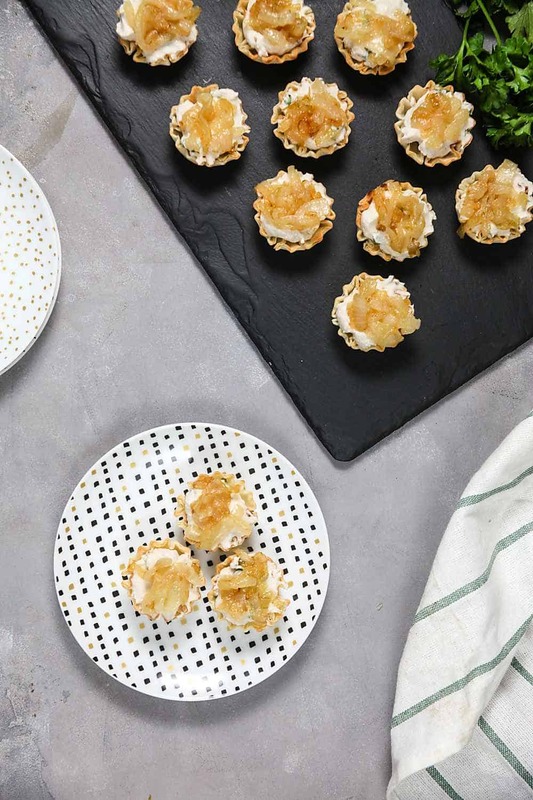 Mini Balsamic-Caramelized Onion Tarts | Healthy. Delicious. 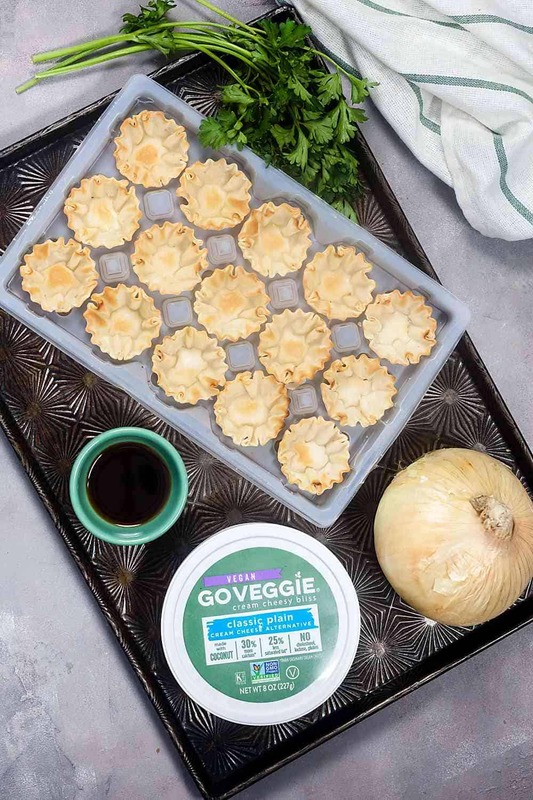 Mini balsamic-caramelized onion tarts are an upgraded version of classic onion dip – with a built in dipper! Perfect for afternoon snacking. 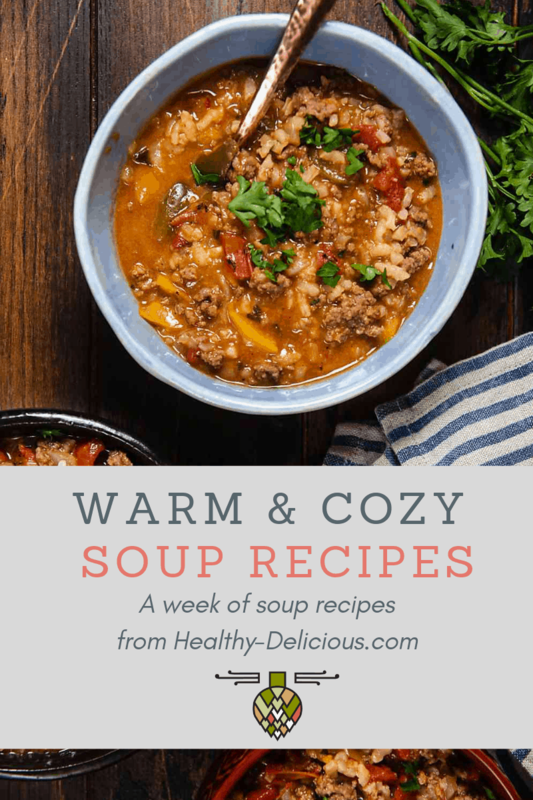 I created this recipe for my client GO VEGGIE. Thank you for supporting that brands that keep me inspired in the kitchen. One of the things I love most about the holiday season is that there are ten million excuses to eat finger foods. They’re so fun, and everything seems to taste better in it’s miniature form. Just because New Year’s Day is behind us doesn’t mean we need to stop eating them! 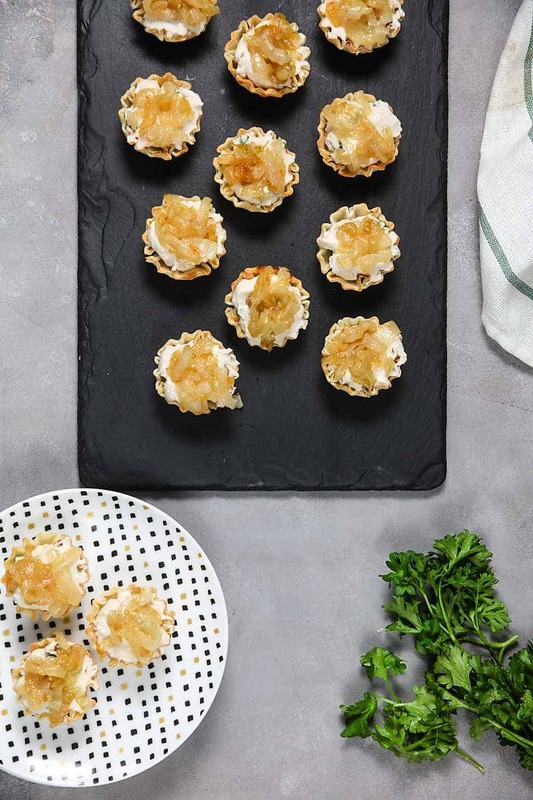 These mini balsamic onion tarts are great for snacking on during Sunday afternoon football games, while reading a book by the fire, or along with a few other nibbles as part of a fun dinner. These onion tarts were born when I was playing around with extra phyllo shells I had after making a batch of apple baklava bites. A scoop of non-dairy cream cheese, a splash of balsamic, and some caramelized onions and the rest is history. These remind me of really good creamy onion dip packed into a chip-like shell. 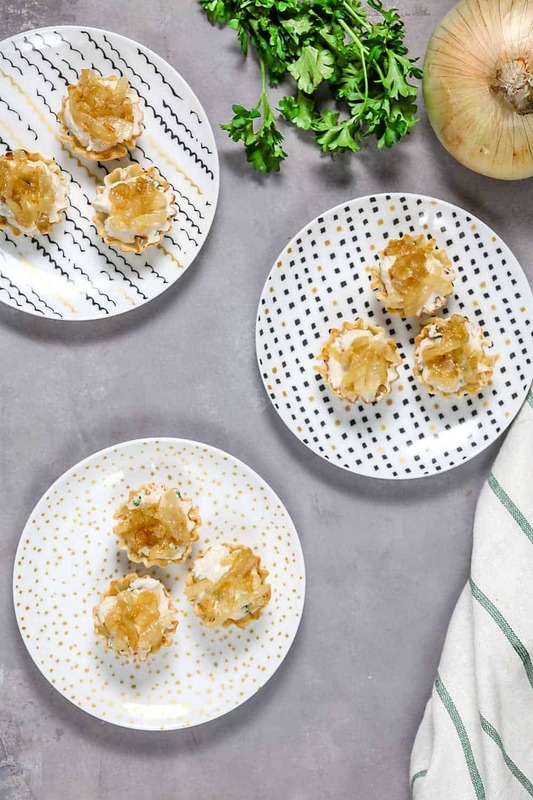 Making these onion tarts couldn’t be easier. Start by mixing together cream cheese with a few tablespoons of balsamic vinegar and some fresh parsley. You might be tempted to stop there – this combo is amazing as a sandwich spread. I use GO VEGGIE’s classic plain cream cheese, which is made with coconut. It’s vegan, dairy free, and lactose free but has a neutral, creamy flavor just like regular cream cheese. It works great for snacks like these or for dips like this creamy chipotle dip. Next, caramelize a sweet onion in some butter (or non dairy butter spread to keep things dairy free!) until it’s nice and soft. Don’t rush this step – it should take at least 20 minutes for the onions to get deliciously soft and sweet. Then, fill crisped fillo shells with the balsamic-cream cheese mixture and top them off with the onions. Be sure to let everything cool before assembling the tarts, so you don’t melt the cream cheese! You can easily make them ahead of time – refrigerate the cream cheese filling and caramelized onions in separate containers and fill them just before serving. I like them best at room temperature or slightly chilled. 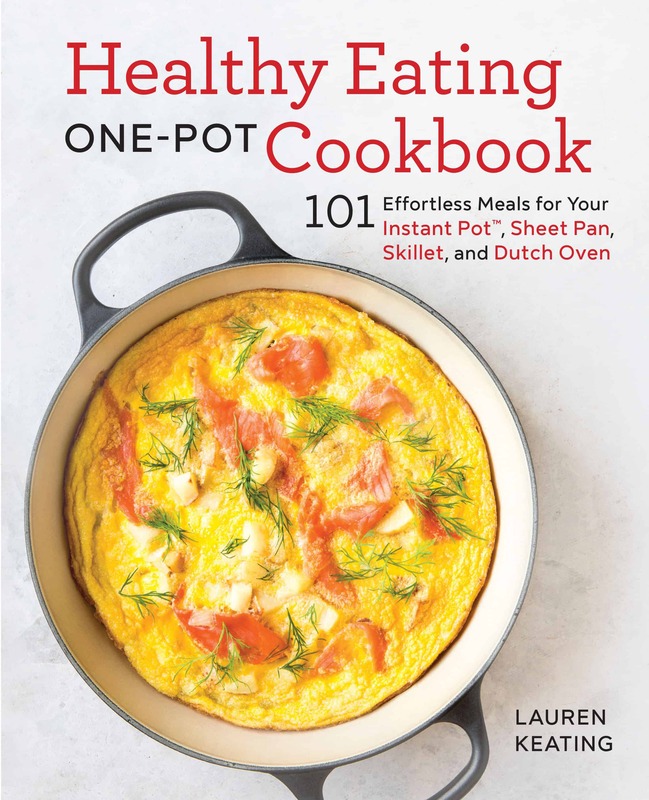 Heat your oven to 350ºF. arrange the fillo shells on a baking sheet. Bake 10 minutes, or until crisped. Let cool. In a small bowl, combine the cream cheese, vinegar, and parsley. Season with salt and pepper. Stir until smooth. Melt the butter in a skillet set over medium heat. When the butter starts to foam, add the onion. Cook, stirring frequently, until the onion is very soft and golden brown, about 20 minutes. Remove from heat and let cool. Fill the fillo shells with the cream cheese mixture. Top with caramelized onions. Serve at room temperature.